Wavy rainbow background. 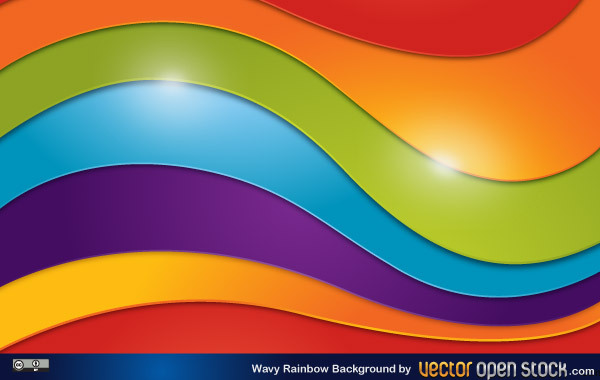 A background consisting of the colors of the rainbow, ROYGBIV, red-orange-yellow-green-blue-indigo-violet, in a wave form, have fun using this background vector. This design is under Creative Commons Attribution License.